Discussion in 'Members Personal Layouts' started by scottishlocos, Jun 13, 2016. 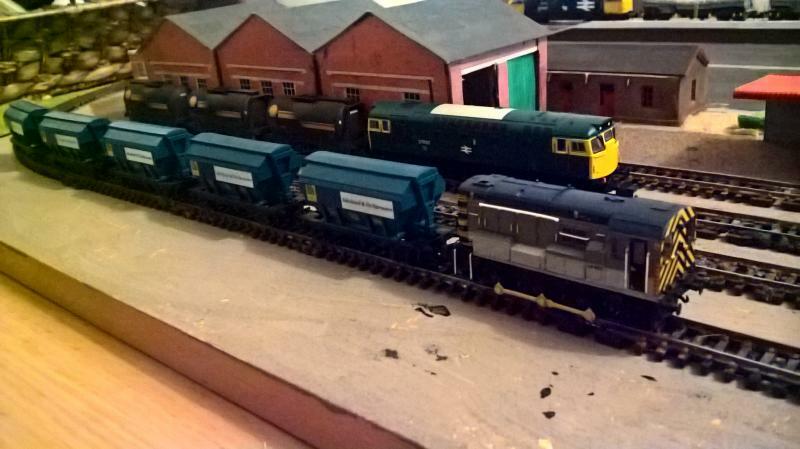 Auchleven papermill is a small papermill which is served by the speedlink freight network traffic includes China clay oil chemicals and pulp all the things you need to make paper class 08 26 27 and 37 work these eventually a class 20 will be added. Nicely done. 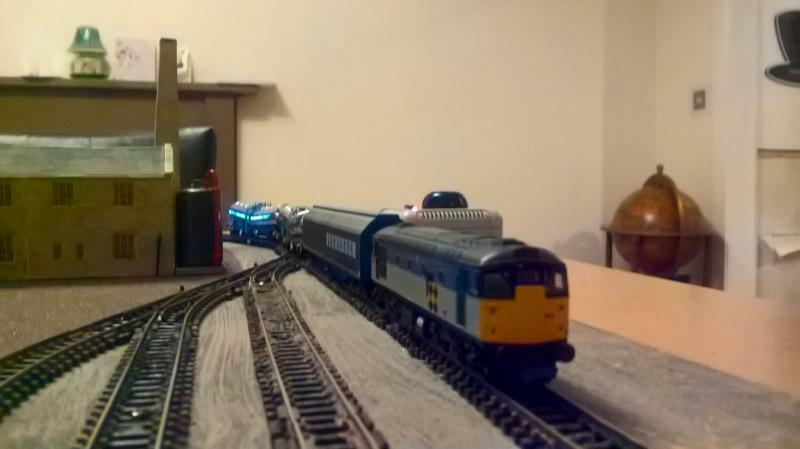 A good variety of loco's and the beginning of a busy scene being set. Thanks for posting up the photographs. How long have you been this and whats your plans next ? Looking forward to watching this layout develop. Keep the good work and pics coming. Great start with your Layout topic looking forward to updates as you progress. too for the large Logo 37 in the background off the photo. I like your buildings with the tanks. Where did you get them. they look the part. Looks good, any chance of a trackplan? 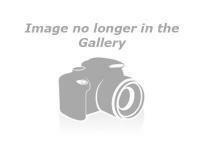 Interesting layout with good operating potential good photos thanks. 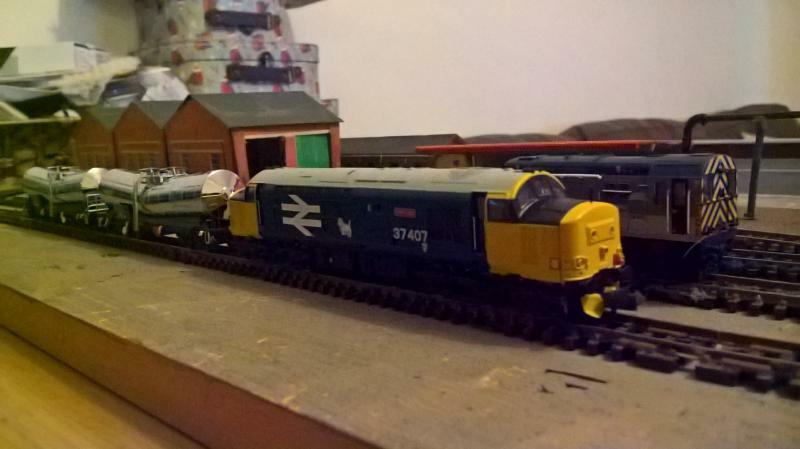 I wanted a Class 37, but couldn't find one in my price bracket and ended up with a 47. Never mind, next time. 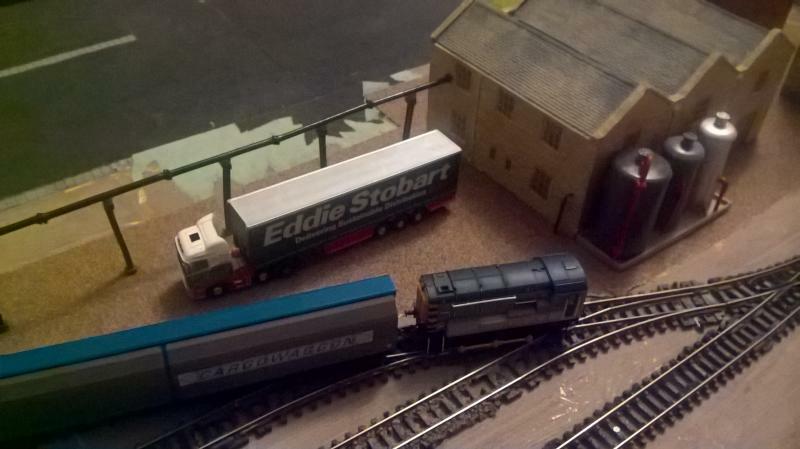 Take it your modelling in N gauge Dave? Lima or Vi trains. The Vi trains are quite reasonably priced as well.